Digital Sound: Versatile Sound Productions is an all-Mac Powerhouse using the latest DJ software boasting a 30,000+ song library to choose from instantly. Highly Mobile/Low Profile Powered Speakers by Bose: This system is used for small to medium sized gatherings on its own or to serve as an auxiliary PA system to supplement our main system in multi-room functions. By the way, it’s plenty loud outside. Pictured above is the typical indoor setup utilized by Versatile Sound Productions. This sound system uses professional grade Bose Speakers which have been proven to deliver the best sound quality available. And with their sleek design they wont distract guest from the event. Lighting Options: Keeping in mind that versatile is in our name, we offer a wide array of custom lighting systems. As little or as much flash as you desire, VSP delivers. We have traditional strobe lights as well as glow sticks on demand to throw into the crowd. If you are looking for a classy disco ball we have that too. We also offer chaser lights such as the ones above that literally ‘chase’ the music around the venue. 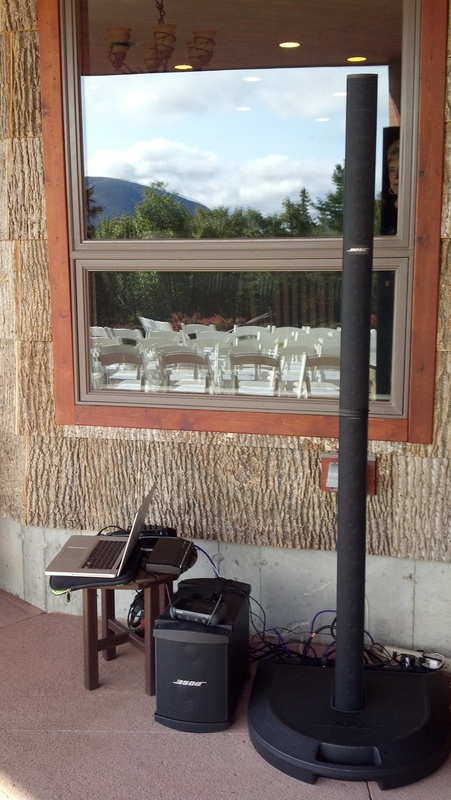 With our Toshiba/Texas Instruments DLP projector we can display music videos or pertinent event information for you. We have a fog machine and….you get the picture. 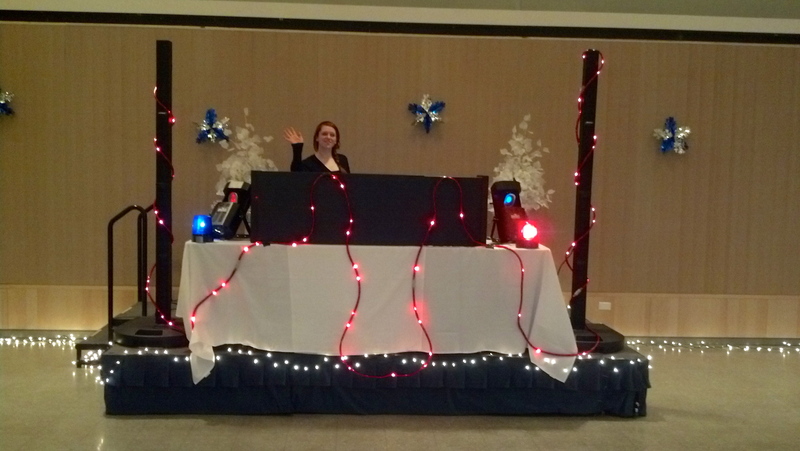 If you are really curious all of our lights are the top of the line pieces made by American DJ and Chauvet. Versatile Sound Productions also offers clients the option of video services. Our Toshiba/ Texas Instruments DLP Projector is capable of producing up to a 10 foot screen, ideal for showing a tribute to the guest of honor, or displaying information pertinent to the event. Melded seamlessly into our audio production, our video capabilities serve to enhance the product we off our clients, and in turn the experience of their guests. Copyright 2012 © Versatile Sound Productions / All rights reserved.